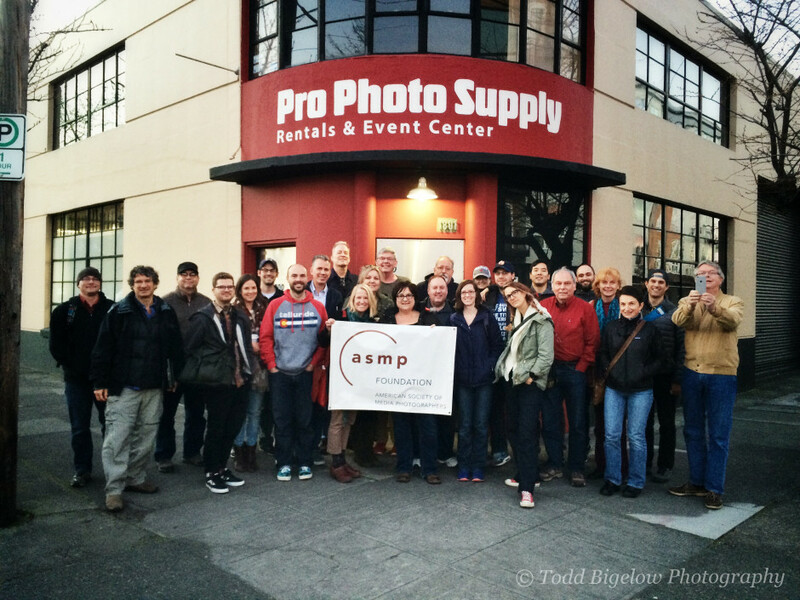 The great people at ASMP Oregon and Pro Photo Supply hosted The Business of Photography Workshop. 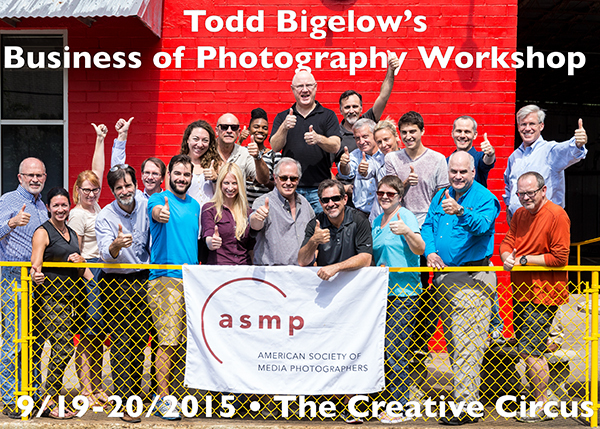 The Portland chapter of ASMP is one of the best in the nation. What was bred from frustration has grown into a passion. Who would have known? Certainly not me. Several years ago I began to build a curriculum for a seminar course with the idealogical approach that I could somehow do something to stem the devaluation of photography and photojournalism. I suspected that a middle aged photographer appealing to small classes of dedicated photographers would likely have little or no impact as GettyMart (aka Getty Images) set about on a scorched earth mission to devalue images by licensing them for pennies on the dollar while compiling and selling their user data to brokers. But, frustration is a strong motivator, so I poured my time and energy into creating the course. As fate would have it, the workshop has grown into more of a mission for me than I would have ever imagined while gaining a steady stream of students and hosts (15) along the way. Yes, I’m the proverbial David to GettyMart’s Goliath, but that’s fine with me. I can deal with being an underdog and don’t really care if I don’t change the entire world. My passion is emboldened when I hear from those who spent an entire weekend locked in a room with me that it was time well spent. Fortunately, that has been the case since the beginning so it’s worth every minute. As I look back now, I can draw conclusions that were otherwise mere conjecture before I began teaching the workshop. First and foremost, the vast majority of schools, colleges and universities that offer degrees and/or certificates in photography are failing miserably! Okay, maybe miserably isn’t the right word. Perhaps catastrophically is far more accurate. How in the world do so many universities and colleges justify awarding photography degrees without requiring a core set of business classes? It’s unfathomable. The reality is that the newly minted photographers will almost assuredly graduate into a freelance career and likely with a modicum of student loan debt. Don’t believe me? Just do some research on how the nation’s workforce has exploded into a “On Demand” labor market. And photography is smack dab in the middle of such a market. I had a student from my alma mater take my workshop and just shake her head after realizing how ill-prepared she was to take on a freelance career after accumulating debt in pursuit of her Journalism degree. Sure, she had the creative skills but literally had no idea on how to develop clients, build and maintain an archive, leverage that archive for licensing revenue, analyze and negotiate a myriad of contracts, submit estimates and invoices, create a social media strategy or even how to set-up her business with tax implications in mind. In other words, she had no idea how to proceed after graduating. That’s just not right. I tell my students that they must be a good photographer to earn a living, but if they are a good photographer with no business skills, it will be very difficult to sustain a career. One issue facing universities is that they employ a large number of tenured faculty with no practical, relevant and recent experience at a time when the profession transformed itself from staff based to freelance based. If a professor hasn’t been consistently and actively engaged as a freelancer in the past 10 years, then they are more than likely to be of little help beyond the creative, technical skills based classes. The universities and colleges should mandate a interdisciplinary major with a core set of business courses as well as dedicating a budget to bring in working photographers to teach courses on freelancing. “Thank you for such an incredible workshop. In the two weeks since, I’ve successfully recovered two licensing fees and negotiated my first long-term contract with a local publisher. Before your workshop, I would have felt entirely unprepared to pitch for and negotiate that kind of work. Instead, I went into the meeting not just knowing the value of my work, but prepared to be my best advocate. Thank you for such a fantastic forum for learning. 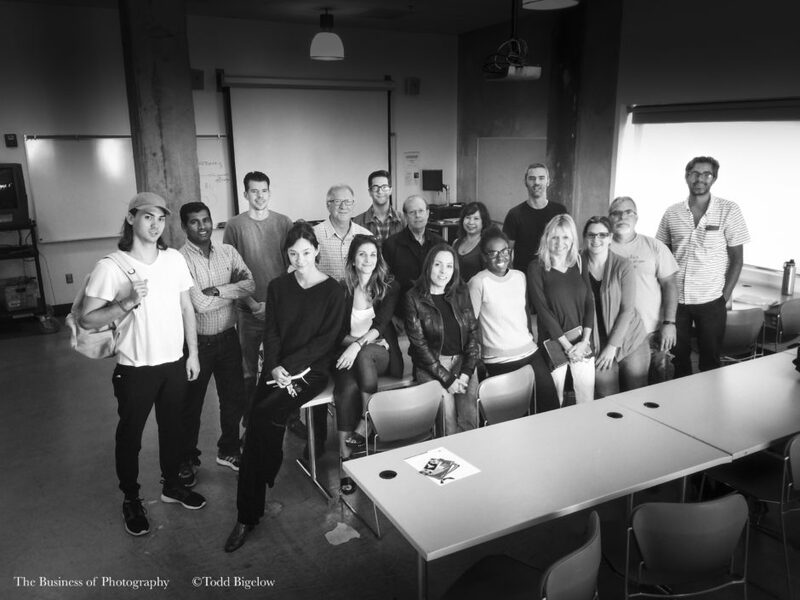 It truly was the most beneficial thing I’ve done for my business all year.” –Annalise Kaylor, 2015 ASMP Atlanta student. This course is a struggle to market as it’s hardly as “fun” as a portrait session with attractive models, or a travel workshop that takes you through the streets of Florence, Italy. But it’s a passion now, so I’ll keep pushing it in an attempt to pass on some of the things I’ve learned from past and present mentors and teachers; stay humble and treat all your clients with respect, give back to the profession, use what is useful, discard what is useless, add what is your own and above all else, value yourself as a professional. That means adhering to fair assignment and licensing rates and not falling victim to “exposure” compensation.